But the teacher isn’t a med school faculty member. 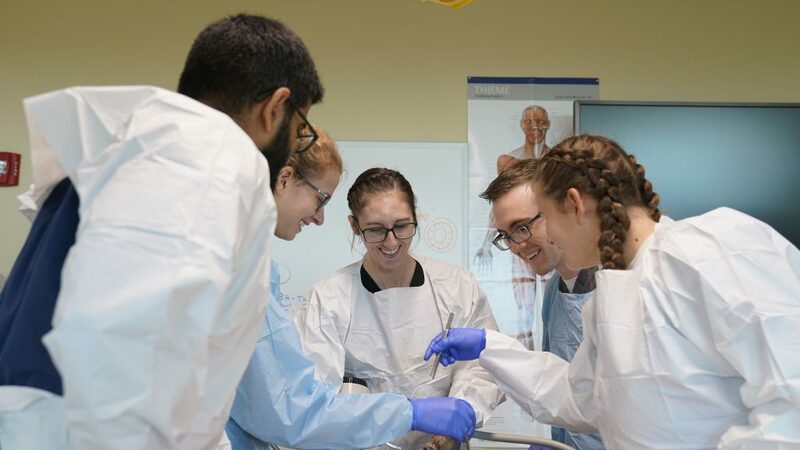 She’s a doctoral candidate in UCF’s physical therapy program program participating in an interdisciplinary session designed to better educate future doctors on human anatomy. 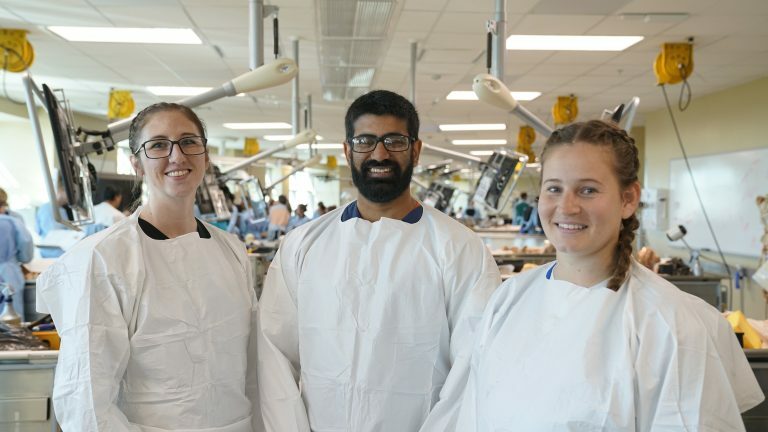 She is one of three PT graduate students serving as teaching assistants during this year’s Anatomy Lab module.